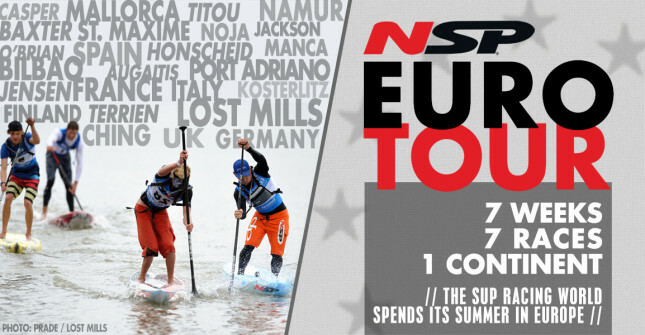 Week #1 of the 2014 NSP Euro Tour started with perfect sunny conditions here on beautiful Mallorca, Spain. 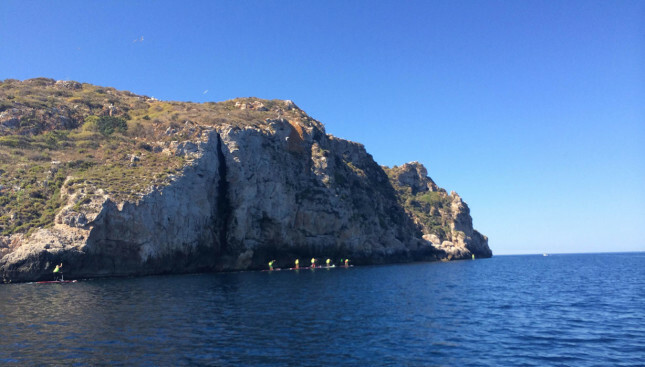 With a strong field lining up against a backdrop of sandy beaches, colourful and jagged cliffs, imposing islands and turquoise waters, I knew we were in for a great weekend of racing. 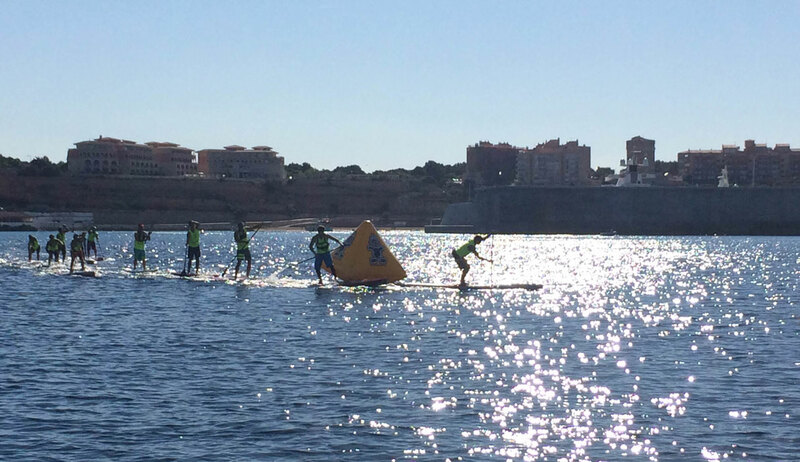 The Port Adriano SUP Race is split in two: Long Distance on Saturday and knockout sprint son Sunday. In Saturday morning’s distance race it was France’s Eric Terrien who took the victory, ahead of a very determined Leonard Nika from Italy. 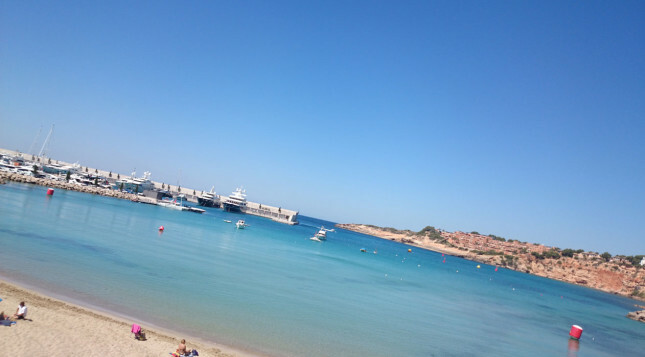 Leo set the pace for most of the 13km around the islands outside the luxury Port Adriano, however Eric was too strong in the final 500 metres. Despite the relatively calm ocean conditions making drafting fairly easy, a solid pace at the front split the field early, with the top 15 spread out between four different draft trains. Sitting in the lead group of four alongside Eric and Leo, and eventually coming home for a very impressive third, was former champion Czech marathon canoer, Branislav Sramek, who out-sprinted Austria’s Peter Bartl to the line. Local strong man Victor Blanes led the four-man, Tour de France style chase group and took fifth over the line. Meanwhile over on the women’s side Sonni Honscheid showed why she’s going to be very tough to beat this year, comfortably winning the women’s and beating most of the men in the process. Mallorca local and Sonni’s fellow SIC team rider, Laura Quetglas, came home second. 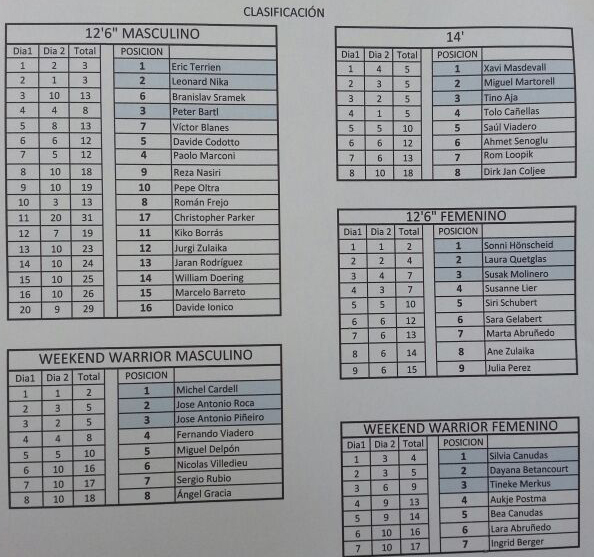 Oh and there was a very interesting battle in the men’s 14′ division. The top four placings from Saturday were totally flipped on Sunday, meaning four guys all ended up on five points. The highlight of the weekend, however, was perhaps the girls’ short course race. In fact all the kids from 6-15 made it clear that Spain has a bright future in this short, showing off skills and speed well beyond their years. Over 30% of the 80+ paddlers who competed in this year’s Port Adriano were kids – awesome to see! The only thing better than the racing this weekend was the location. 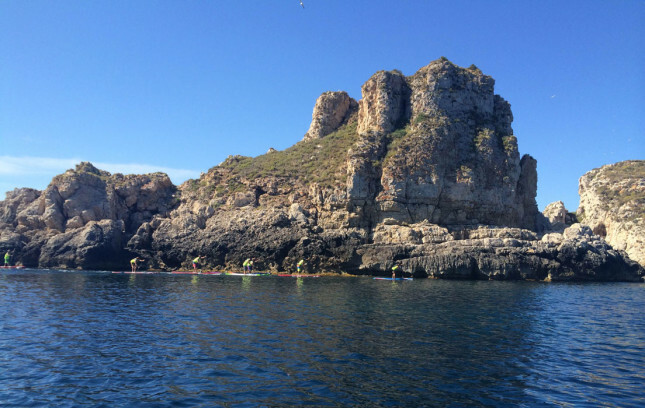 Mallorca is a magic island, with extraordinarily beautiful coastlines dotted with jagged cliffs, islands and blue waters. Great way to start the Euro Tour. Unfortunately I had to sit out the racing on day two due to veeery unforeseen circumstances, however it was definitely a great weekend of racing all round. Put this race on your 2015 bucket list for sure!! Thanks to Thaissa MDC for snapping the pics from the boat. All photos copyright SUPracer.com, though feel free to swipe them and post them all over Instagram, Facebook or on your bedroom wall.